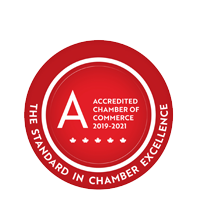 Caressant Care Nursing and Retirement Homes | Health Care Services | Nursing Services | Retirement Residences - Business Directory - St. Thomas & District Chamber of Commerce - ON, ON ? Caressant Care was founded in 1975 and now own and operate 15 Nursing Homes and 10 Retirement Homes. In St. Thomas there are 2 Homes; Caressant Care on Bonnie Place at 15 Bonnie Place and Caressant Care on Mary Bucke at 4 Mary Bucke Street. Caressant Care Nursing and Retirement Homes are located primarily in small towns in Ontario. Many residents are friends, neighbours and even family members of their staff. This small town atmosphere is evident by the care, respect and helpfulness shown by all Caressant Care staff.